This painting workshop is held in a charming town just north of Jacksonville on beautiful Amelia Island, which is truly an artist’s paradise. Come discover why it holds such an attraction to so many artists, including yours truly. I lived there for many years and return regularly because of the rich variety of subject matter. 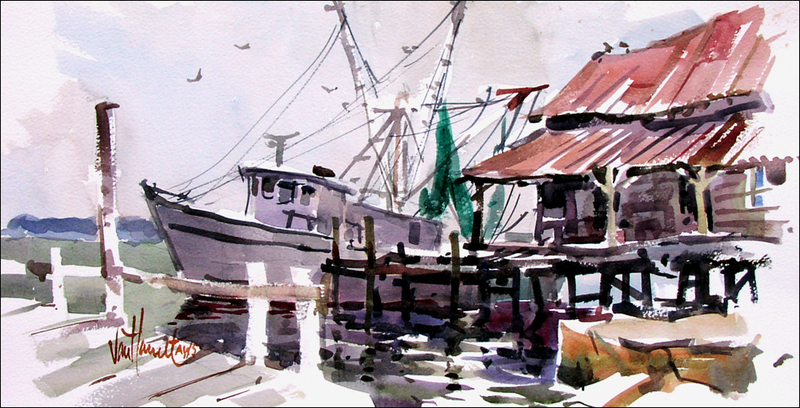 We’ll sketch and paint Victorian architecture, rickety docks, dunes and marshes. You can also explore an old Civil War fort and further south, the Kingsley Plantation with its rich and interesting history. 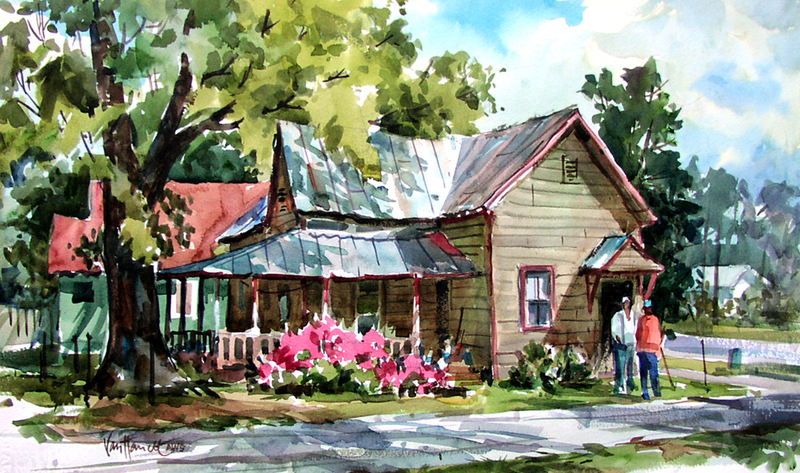 I encourage sketchbook journaling to create memories of an area. I often use those sketches as preparation for larger efforts. My focus is on the art of picture making, composition and design, which are applicable in any medium. 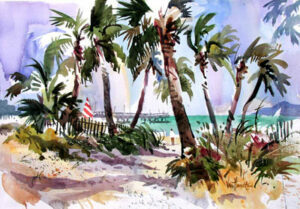 Although the demonstrations are in watercolor, participants using acrylics are welcome. For studio painters, this plein air workshop may serve as an introduction to working on location, while finishing touches can be added in our studio at the Amelia Island Museum of History. Indoor sessions are held there in case of inclement weather. I prefer a small class to allow for individual painting time and personal assistance. Then, in the late afternoon, we meet in the studio, to discuss how to improve your efforts. Since artists are visually oriented, I give not just verbal suggestions, but often paint them on acetate placed over the work. In case you wish to add these suggestions to your effort, you are encouraged to photograph the result. Tuition 5 days $650.00. 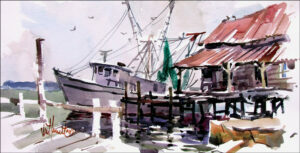 Invite a painting friend and you’ll each enjoy a $50.00 discount, deducted from the tuition balance! Want to join me for the first 3 days? Tuition $375.00. Sorry, no discount. Deposit $150.00. CLICK HERE to safely register on line.